Bimsoft developped a solution, focused on the food industry, that allows you to register all batch-transformations in a production process in combination with an integrated quality control system. Because of many different ways of working, Bimsoft payed a lot of attention to personalization in it’s traceability and quality control solution. Integrated real-time data exchange with your printers, labellers, barcode scanners, RFID-readers, weighing scales and packaging machines is supported. 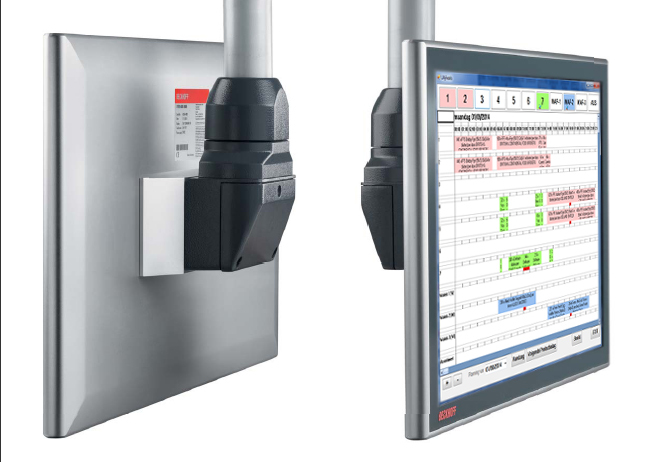 Even communication with your PLC’s and ERP system dan be set up. The software package can distinguish between generic and specific raw materials. Different packaging volumes of raw materials are taken into account. Purchase orders for raw materials to deliver to suppliers can be produced on paper or electronically in a smooth way. Based on purchase orders for raw materials, reception can be prepared. A form can be used by a warehouse manager or receptionist to note the details of a delivery: date, time of day, properties of the transport unit, quality control data of the goods delivered (look, weight, temperature,…) or a barcode scanner can be used to store all data digitally. If desired, samples can be taken for further analysis. Each reception can be provided with a unique barcode, which always allows to find out the origin of the raw materials. When processing raw materials, the order in which lots are used, e.g. 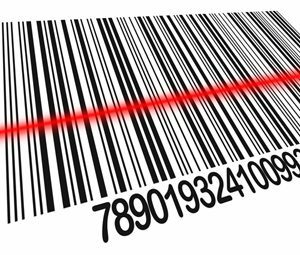 based on the FIFO method, can be checked by scanning the barcodes. In terms of volumes, it is also possible to check what the remaining stock is, taking into account the planned production in the coming period. This allows you to place new orders for raw materials in a timely manner. Final products may contain several intermediate products, that in their turn consist of other intermediate products or raw materials. 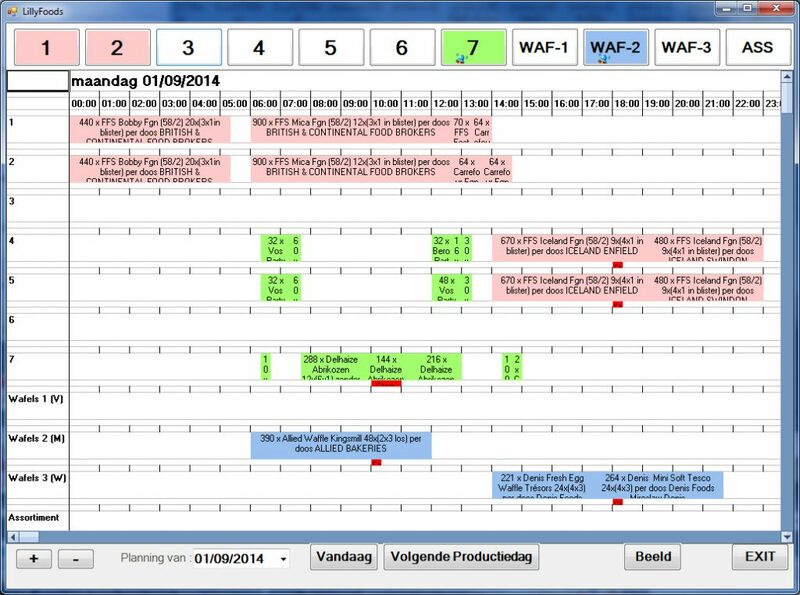 A production planning allows you, based on the amount of end products needed, to calculate each intermediate step and put equal steps together, in order to achieve an optimization of production. All different production batches that were defined in production planning can be followed up, e.g. by scanning a batch form in combination with the barcodes of the raw materials and/or intermediate products that are used. 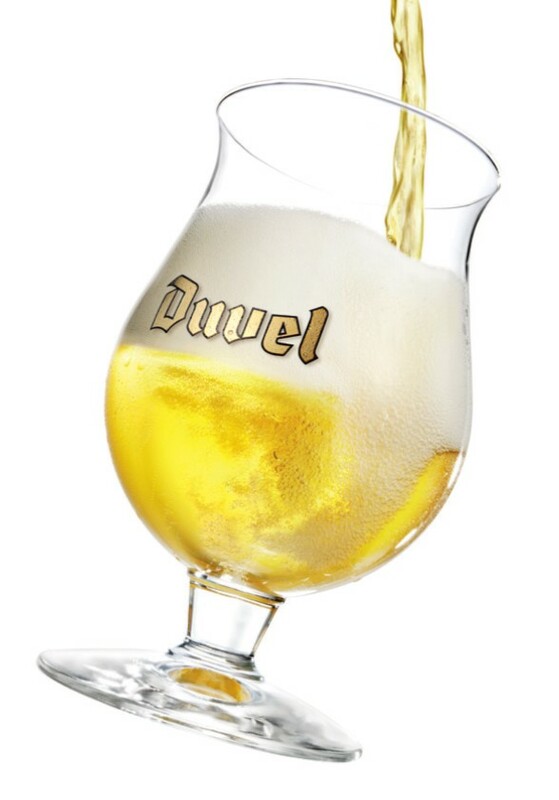 Raw materials with limited consumption per batch are linked via the recipe and the notion “active lot” to the relevant batch. An alternative for registering used products can be done via a customized solution on a touchscreen. The final step to finished products is also realized according to a desired method. Depending on the packages in use, the necessary labels to put onto the packaging are printed. All labels are completely customizable and contain standard data from the database, such as best before date, ingredients, allergens, SSCC-code, etc. The complete stock of finished products, as well as all additional data of these products, is known in the database. This allows inventory management for the warehouse. Based on the orders received, picking lists can be generated. This way, it is possible to pick the right products from the warehouse and link them to a particular delivery by scanning the barcode. Different deliveries can be divided over different routes, e.g. taking distance and volumes into account. 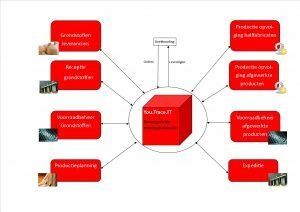 With the package You.trace.it, Bimsoft provides an affordable standard package for the food industry, that is completely customizable according to the needs of the customer. 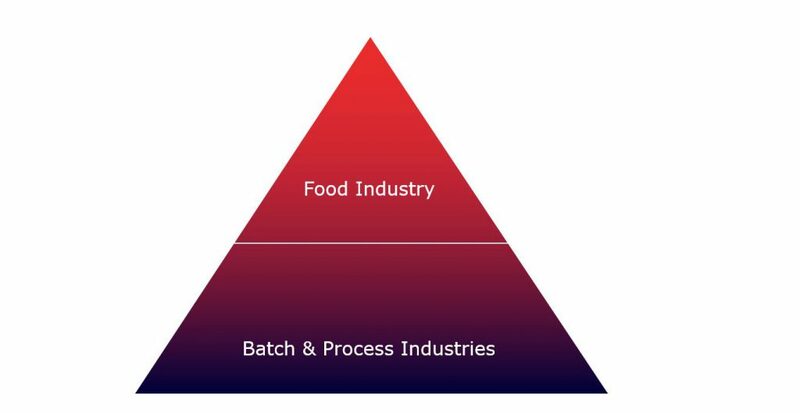 Due to the focus on the food industry, Bimsoft is happy to come to the work floor to provide solutions to specific problems. 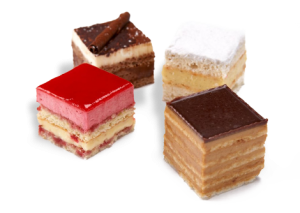 Due to a wide variety of products, it can often be confusing for employees in production to find out which recipes are applicable. That is why You.trace.it links recipes to production orders. This way, the most recent version of a recipe is available to the production department and confusion can be excluded. 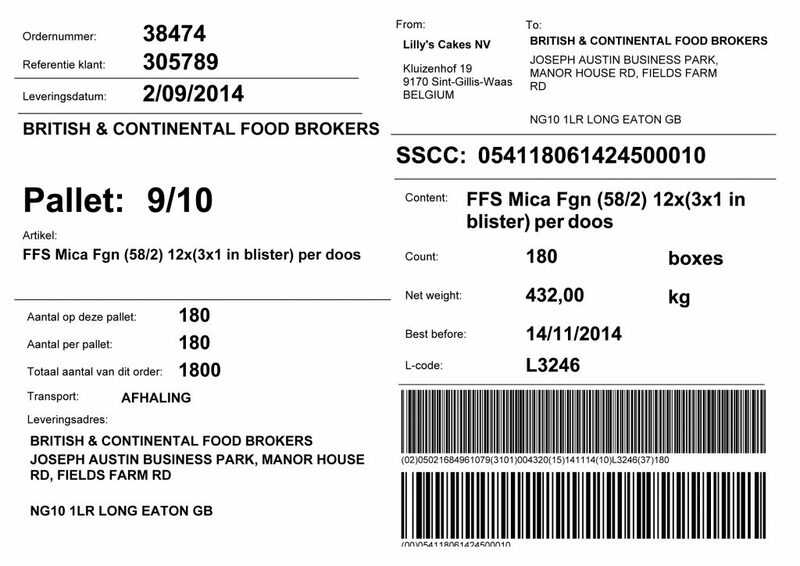 Allergens can be displayed and put onto production labels automatically, to comply with food safety regulation. This is done by linking recipes and properties of raw materials and intermediate products. Shape, volume and finish are often properties in which products can be distinguished. This allows a re-grouping through a thorough planning of end products when producing the required intermediate products. This ensures more efficiency and increased availability of materials and personnel.